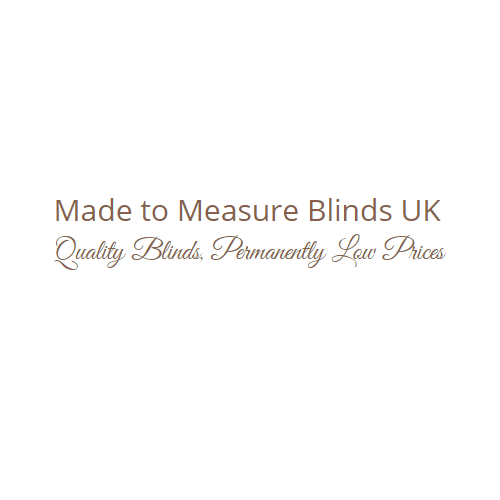 Made to Measure Blinds Ltd has partnered with Trustpilot so that clients can review their services. THEALE, England, April 19, 2018	(Newswire.com) - Made to Measure Blinds Ltd have partnered with Trustpilot, a publisher of user reviews for online businesses, and have accumulated nearly 1,000 evaluations with an overall rating of 9.6. Made to Measure Blinds Ltd now use Trustpilot to get reviews from clients. Trustpilot manages reviews and at the same time engage in the advertising and promotion of Made to Measure Blinds Ltd, alongside neutral reviews. The blinds company feels it is important to allow customers to report their experiences with the business. The blinds company strives to only offer the best quality fabrics and other window covering components, and they believe that the reviews help them get business shrewdness. Ordering from Made to Measure Blinds Ltd is simple. The company’s site now offers four easy to follow steps and a range of informative video guides and help pages. All customers have to do is select their preferred blinds and fabric and request a free fabric sample. They can then use the measuring guide to measure their windows and place their order by building the chosen blind, selecting each option that is available to the product as it pops up in their shopping cart, and wait for just 5 – 10 working days for the blinds to be made and installed. Made to Measure Blinds Ltd only utilise the best quality components for all their blinds. Every fabric they use undergoes stringent testing standards before it is added to the company’s product range to ensure the fabrics can withstand the elements. All new fabric batches are checked for quality and must meet the company’s colour variance standards to ensure it is a close match to previous batches. Every single blind is quality checked before it is packed. The company further backs up their quality control with a no-arguments 12-month guarantee if the blind is faulty or damaged, and are happy to remake the blinds. The business offers customers easy-to-follow help guides. They also have their technical guru, Peter, who has more than 20 years of hands-on experience and offers fitting and measuring guide. If the company discovers something is out of place, they confer with customers prior to starting manufacturing. Made to Measure Blinds Ltd further offer a 12-month guarantee and if the blinds are damaged or faulty, they will remake them within 5 – 7 working days. For more information, visit https://www.madetomeasureblinds-uk.com. Made to Measure Blinds Ltd supply high quality custom blinds. We guarantee to provide you with window blinds that suit your specifications.